Out of all my pillows, I have to say, the panda is the most popular. I don't know what it is about pandas that people just enjoy! 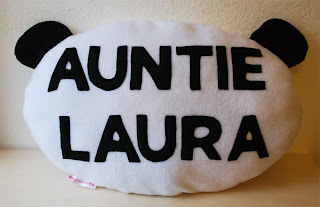 :) These are some pictures of personalized panda pillows I made for three special customers. They're great gifts for friends and family because they can be used almost anywhere. 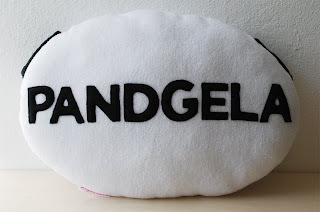 Interested in personalizing your own panda pillow? Email me at MyDearDarlingShop@gmail.com. 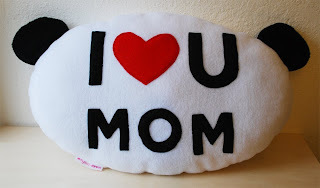 :D Click on the photos to see non-personalized versions of the panda pillow.